Nike showed off an all-new sneaker for NBA star Paul George today, and it has something weird inside: a screenshot from NBA2K17. The shoe, like most of Nike’s basketball range lately, looks trash—like they hit the “randomise” button on a shoe character creation screen—but I’m loving the absurdity of having the screenshot literally part of the shoe, with George’s virtual likeness printed all over the innersole. 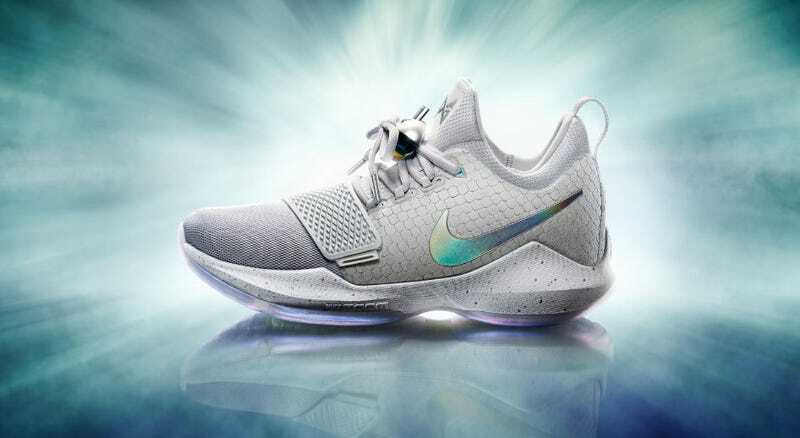 The PG1, as the shoe is called, will only have the screenshot included on this first “2K” colourway, named because George is also the coverstar of that series this year. Future models will have something presumably less personal to rub your heel on every time you put the shoe on. Gundam Sneakers. Because Sure, Why Not.